I've just listed this pretty little ~ready to ship~ set on ebay! and a sweet little tank top. 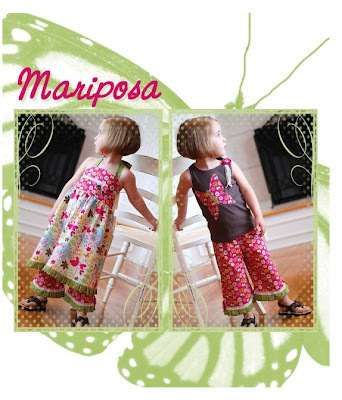 Perfect for size 3/4 little butterflies! Click HERE to go immediately to the auction. Hi Jenn!!! CUTE CUTE CUTE!!! "J" looks so grown up... *sigh*... and you KNOW that Lk LOVES butterflies!!! Very,very cute outfits!You sew so fantastic clothes!I love it! I have a question: Which pattern you used for the dress?Thank you!